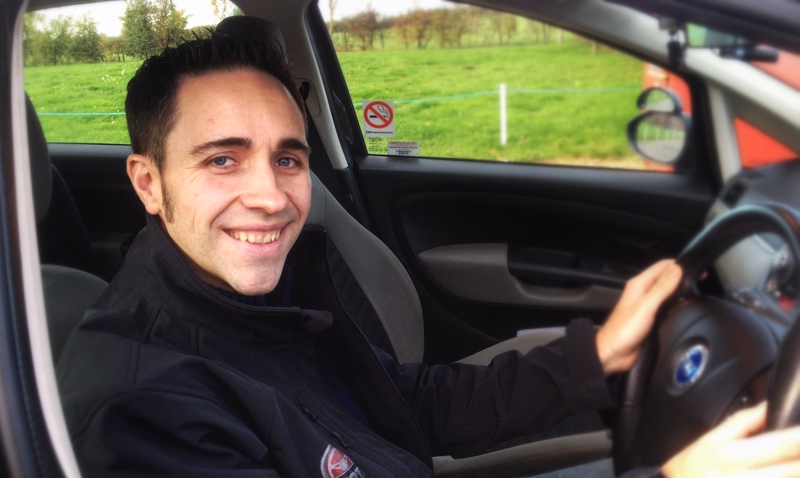 Cambridgeshire-based Ben Elliott has come to driving instructing via a very different route – he’s an ARDS (Association of Racing Drivers Schools) instructor turned ADI who believes that the skills he’s learnt on the track can help learners be better drivers on the road. Tell us about your time as a racing instructor. I started racing at the age of 21 after having raced radio-controlled cars as a youngster. Two years after my first race, I started working mostly on ‘Red Letter Day’-type experiences where people came along and got a few laps in a Ferrari with you. I quickly tired of this – it’s not very rewarding as the customer’s experience is over just as they’re starting to learn something. So I set up my own driver training business, spending the whole day with one or two customers in their supercars before progressing onto racing drivers as my reputation improved. Why make the move to being an ADI? I’m not sure I want to be hurtling around in race cars in my 50s and 60s as my full time occupation! Being an ADI gives me more flexibility and I can pop home in between lessons or just work for half a day. How does your background in track work inform your ADI teaching style? I have found the qualities that my race track customers like in my teaching style have also translated to the road. I’m pretty laid back and talk to customers as an equal. I also make things simple to understand and as a result, customers feel that they learn more quickly. When not instructing learners or pro race drivers, ADI Ben Elliott spends his time racing on race tracks including Oulton Park in Cheshire. What important lessons can students learn from track driving? There are many but two critical ones are cornering and understanding your car and its feedback. With cornering, a good example would be someone who keeps turning into side roads too fast – as a race instructor, I would ask if they are turning their eyes to look into the corner or moving their entire head? If they’re just using their eyes, getting them to turn their head to look where they’re going will solve the problem – as it does on the track. Why? As the corner gets closer, their nose blocks their outer vision and they lose depth perception – and with it, their sense of speed. Without proper training, most people don’t understand what the car is telling them or fear can take over and stop them from spotting a potentially serious issue. An example? At the Spa F1 circuit, I was teaching a Porsche 911 GT3rs owner and he tells me after a session on the track that he thinks the car has a problem as it was ‘massively unstable’ when braking for a particularly tough corner. I rode shotgun with him and sure enough the car weaved massively from side to side while braking from 125mph. Next lap I tell him to let me take the wheel when he’s braking. He takes his hands off the wheel and I control the car with just one finger on the wheel. The car is fine, no weaving, no instability at all. The problem was that he was tensing up and gripping the wheel so hard that the car was bucking and weaving on every bump. You can simulate this in a 50-60mph emergency stop. Grip the wheel hard and the car will buck and weave from side to side. Hold the wheel lightly and you’ll still see the wheel moving about during braking – but the car will stay straight. Could students benefit from a track day? Yes, a training event on an airfield with instructors that have the right experience to help drivers understand a car’s feedback and be taught to react accordingly while not panicking would be ideal. My aim is to provide this to my customers in the future. – ADI Ben Elliott of Elliott’s Driving School on the similarities between road driving and track racing. What do you like most about being an ADI? Meeting new people with a variety of attitudes, interests and goals, and helping them feel confident in a car so they can pass their test and more importantly, drive safely and confidently in the future. What’s your least favourite part of the profession? It would be easy to say the cheap pricing offered by other driving schools but I’ve got to say it’s the lack of downtime and therefore how mentally tiring the job is. With racing instruction, a lot of concentration is needed but for 15-30 minutes at a time followed by a break. Over a day, we spend 2-3 hours at ‘race pace’ on the track. But as an ADI, I regularly do four 2-hour lessons a day with 30 minutes in between so the concentration needed per day is higher than racing instruction. Road driving also requires a different type of concentration; you’re not going as fast but there are far more things to be aware of in terms of other road users. As a Theory Test Pro user, how do you find the system helps your students? All of my customers make good use of Theory Test Pro – the iOS and Android apps have been a great addition. Customers who have bought other training programmes have all ended up preferring Theory Test Pro. And finally, what advice would you give someone beginning a career as an ADI? Be prepared to put in a massive number of hours studying for your instructor training exam. Also, subscribe to Driving instructor TV – it really helped explain to me how the Part Three exam works. Oh, and smile! I see so many other instructors on the road with a face like thunder – if you’re grumpy then your students won’t look forward to your lessons!